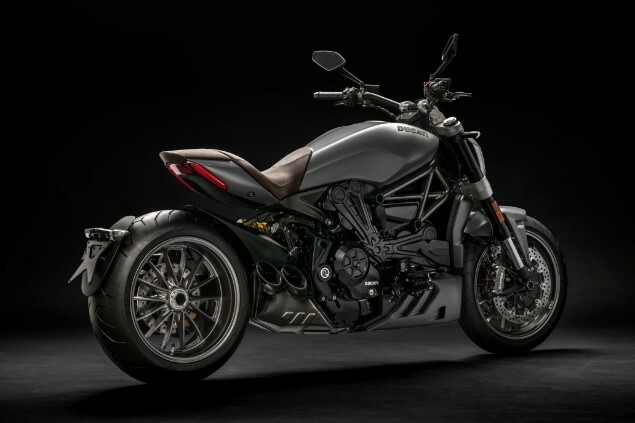 Ducati has a new colour for the XDiavel range and will be showing it in public for the first time at the Intermot motorcycle show in Cologne. The new Matt Liquid Concrete Grey contrasts with the rest of the bike which is almost universally black and also comes with a dark brown leather seat. 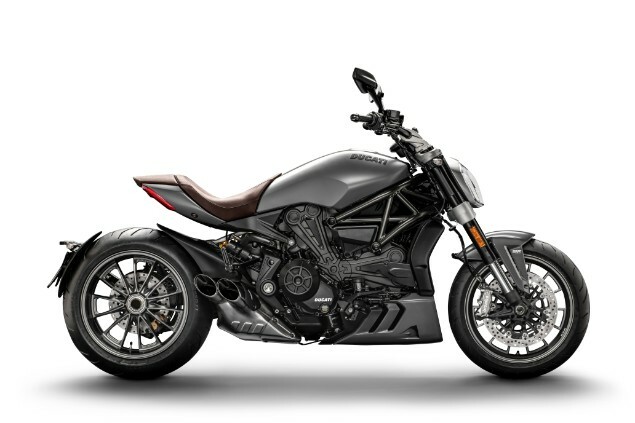 The XDiavel is Ducati’s answer to those who want a cruiser but don’t want to give up the performance associated with a Ducati. It has the option to switch between a feet forward or traditional motorcycle riding position. It may be fighting for sales in the cruiser sector but the Ducati XDiavel still packs a fearsome punch of performance thanks to a 1262cc V-twin with 156hp. It has much of the same rider aiding technology as the superbikes the Italian firm is most famous for including launch control, ABS, traction control and multiple riding modes. The XDiavel comes in a standard version and a higher specification ‘S’ variant too. The S model gets an headlight with a Daytime Running Light, Brembo M50 brake calipers and wheels which are diamond-cut for a contrasting black and silver finish. The XDiavel will continue to be made available in black and white paint finishes too. The new grey colour will be available from November.